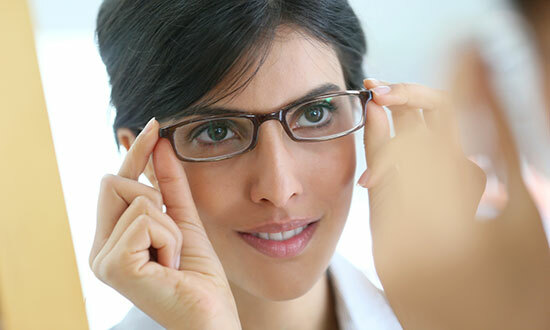 Glasses are the primary way to correct your refractive error to maximize your visual potential. Let us examine your eyes and work together to achieve a prescription tailored to your visual needs. We can prescribe glasses just for distance vision, astigmatism correcting lenses, issues with near vision, or even single vision readers. Please make an appointment so that we can better determine your specific needs and help you find the right solution for a clearer view of your world. If glasses are problematic, perhaps contact lenses may be the way to go. We offer individual specialized contact lens fittings in a number of different brands, materials, and sizes. The technology in the field has developed to where you may be a good candidate for contact lenses even if in the past they were not able to fit your visual needs. New materials have been developed to assist with oxygen permeability and lessen the feeling of foreign body sensation as well as eye irritation. We also now have bifocal and multifocal contact lenses that will allow you to get out of your reading glasses. Your astigmatism may be able to be corrected with a soft toric lens or a hard gas permeable lens. Our contact lens evaluation and fitting appointments come with additional training by a contact lens technician in regards to inserting and removing the lenses from your eyes if needed. We will also discuss proper hygiene and ways to avoid contact lens associated disorders or infections.